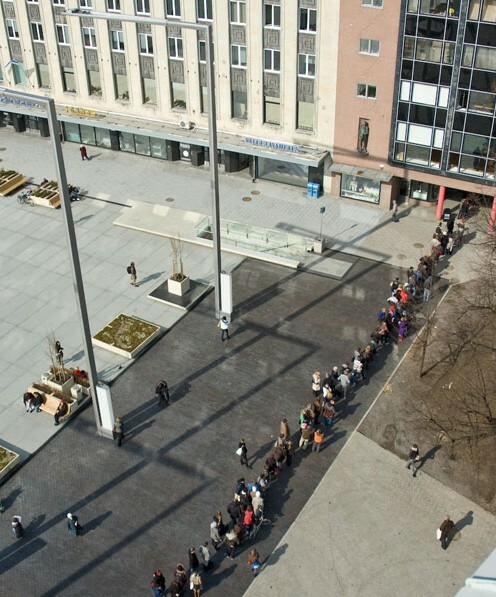 The project invited one hundred persons to form a queue in front of the Tallinn Arthall in Estonia where first hundred participants received 100 kroons. Action was supported by European Capital of Culture Tallinn 2011 project “52 surprises and ideas”. We invited people to participate in forming a living sculpture in the city center of Tallinn in front of the Tallinn Art Hall. The aim of this project was to create a queue in front of the art establishment, asking questions about the relationship with the audience. 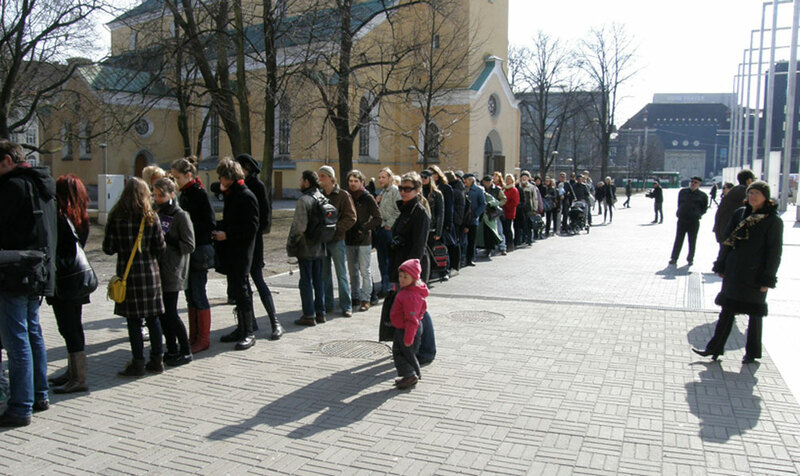 People in Estonia form queues quite often behind supermarkets, but you never see a queue behind an Art Gallery/contemporary art show. So we invited people to form an artificial queue and as a salary we handed out 100 estonian kroons = around 6,6 euros to the first 100 participants. 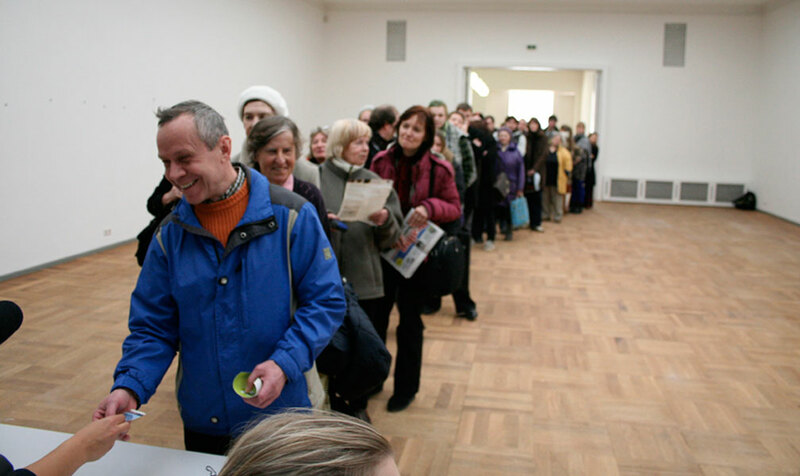 The queue was organised at a period of an exhibition change, so the only art work that people could see in the Art Hall was the one they were participating in. 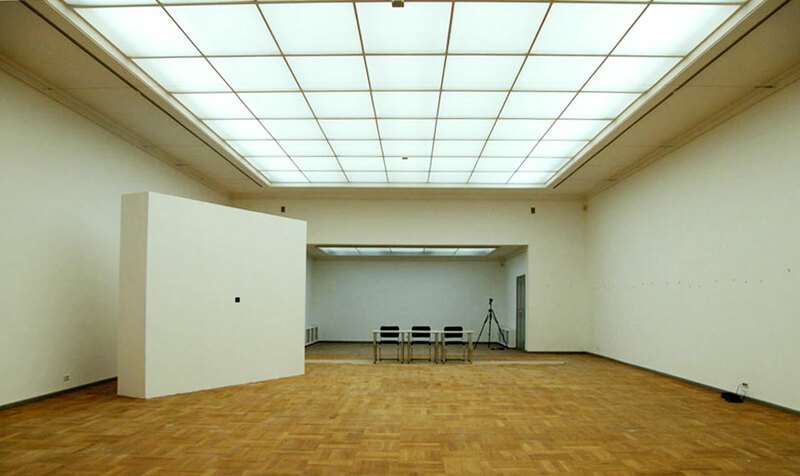 “Artificial queue offered a critical comment on the economic logic increasingly dominating the cultural field. 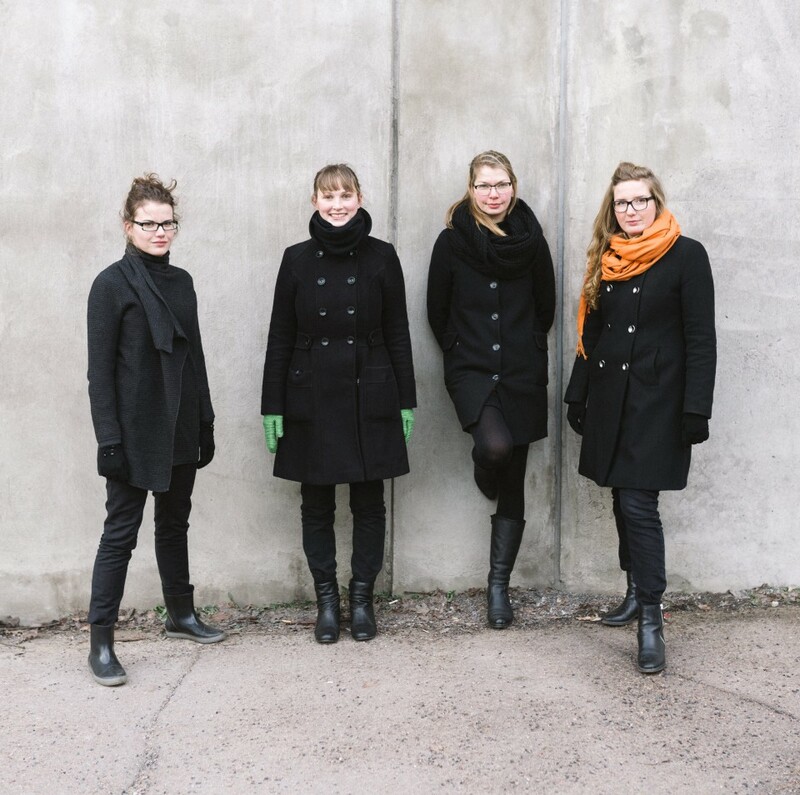 Evaluating cultural institutions and events solely on the basis of the size of the audience, or the length of the queue,” wrote curator Maria-Kristiina Soomre in Estonian Art 1/2010.